We Believe in Great Service! To provide clients with the best service at a great price. We understand that the little things count. Speedy communication and follow-through can make the difference between a good and great experience. Our team cares about the outcome of our work and understands how important it is to exceed our client's expectations. We provide Lawn and Landscape Maintenance to Residential, Commercial, and Industrial clients in the SW Washington. We are licensed through the Department of Agriculture as a Commercial Pesticide Applicator and we are certified in Turf and Ornamental Weed Management. Here at Citywide Lawn Services we work hard to make our clients happy and we continually strive to improve our processes. 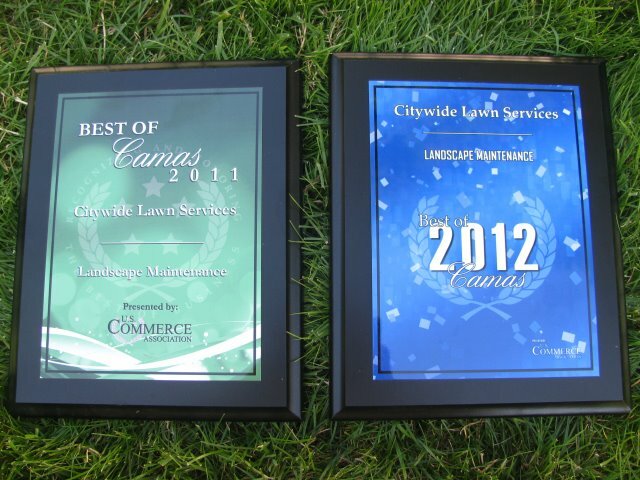 Citywide Lawn Service's Award Winning Service.